Earlier in 2018, before the release of this year’s entry level Freak X, Ulysse Nardin introduced the Freak Vision watch. The Freak Vision watch is perhaps the most innovative modern version of the Freak collection we’ve seen in a while — and it shares little with the existing collection that Ulysse Nardin continues to produce. So, for the time being, Ulysse Nardin will produce the original Freak (called the “Freak Out” at this time) as a high-end model, and the Freak Vision as an even higher-end model, costing almost twice as much as the nearly $50,000 USD Ulysse Nardin Freak Out. The Ulysse Nardin Freak Vision introduces a new case design, movement, and — for the first time in a Freak collection watch — automatic winding (via “the Grinder”). I spoke more about the technical novelties and overall Ulysse Nardin Freak Vision concept when introducing the collection on aBlogtoWatch here. 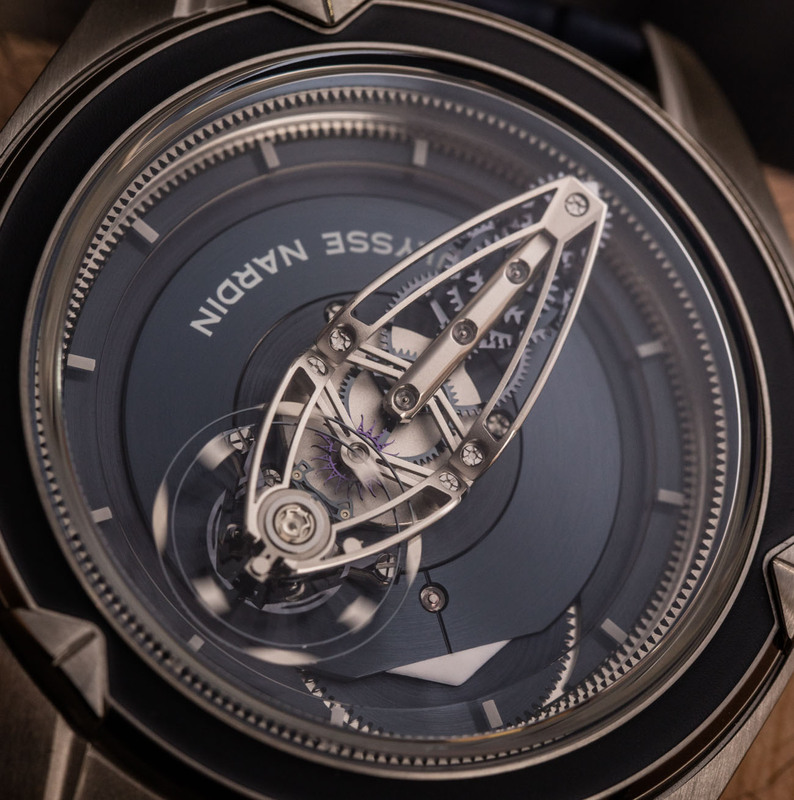 Initially debuted as a concept in the Ulysse Nardin Freak InnoVision 2, the Grinder is probably the most technically interesting element of the Freak Vision from a functional perspective. Visible through the rear of the case, the Grinder automatic winding system uses a large monolithic silicon structure as the basis of a new high-efficiency rotor-based mechanism. But what does that mean? In traditional automatic winding systems, a fair amount of movement needs to happen in order for the self-winding system to produce power that feeds the mainspring (to be wound, that is). The Grinder seeks to create an automatic winding system that is able to generate power to wind the mainspring without requiring as much physical movement. A few degrees of tilt on the rotor can generate power for the mainspring. It is a sound concept and should certainly help the watch stay wound. In a sense, this a collector’s watch, and not one for sport usage, so I’m not sure if the added winding efficiency really helps solve real-world problems, but the technology is spot-on. With 50 hours of power reserve, the in-house made Ulysse Nardin caliber UN-250 movement has less power reserve than most other existing Freak watches. The Freak Out (formerly Freak Cruiser) has seven days of power reserve versus 50 hours for other models. I think this is because the automatic Grinder winding system took up space that would have been used for a large mainspring in a manually-wound movement. Accordingly, if you look at the caseback of legacy Freak watches, you’ll see how large the mainspring watch is. What the Freak Vision loses in power reserve duration, it makes up for in accuracy and performance over time. The second major trick employed in the Freak Vision’s UN-250 movement is a constant-force mechanism, which also (predictably) employs mechanical silicon technology. If you look closely at the spinning oscillator on the dial, under it you will see a structure that is part of the Ulysse Nardin Anchor Constant Escapement. 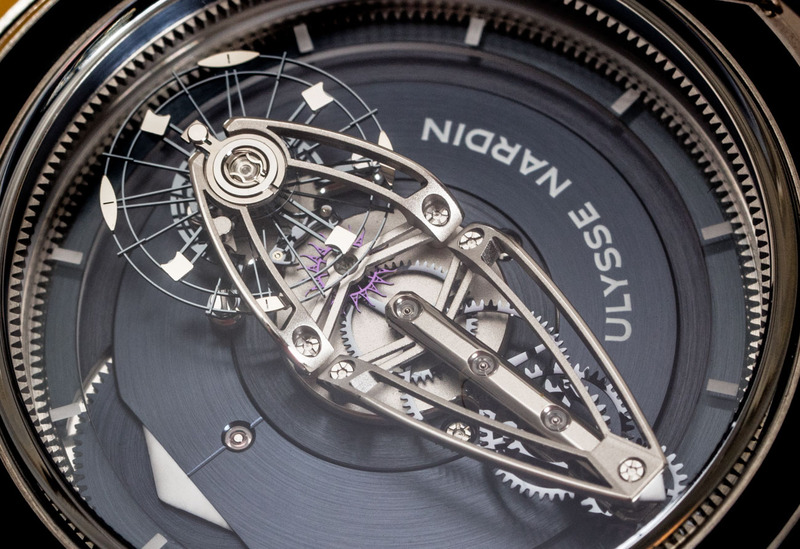 Running at 2.5Hz, the silicon balance wheel (oscillator) combined with the Ulysse Nardin Anchor Constant Escapement is intended to produce excellent accuracy over time. It is also worth mentioning that a lot of the movement design is intended to protect the movement’s performance from shock and vibration. I don’t think this is intended as a shock-resistant watch, per se, but given the inherent sensitivity of silicon parts to shock, I believe the system is designed to prevent shock or vibration to the movement from dramatically affecting accuracy. The Freak watch collection has always been about chronometric performance. 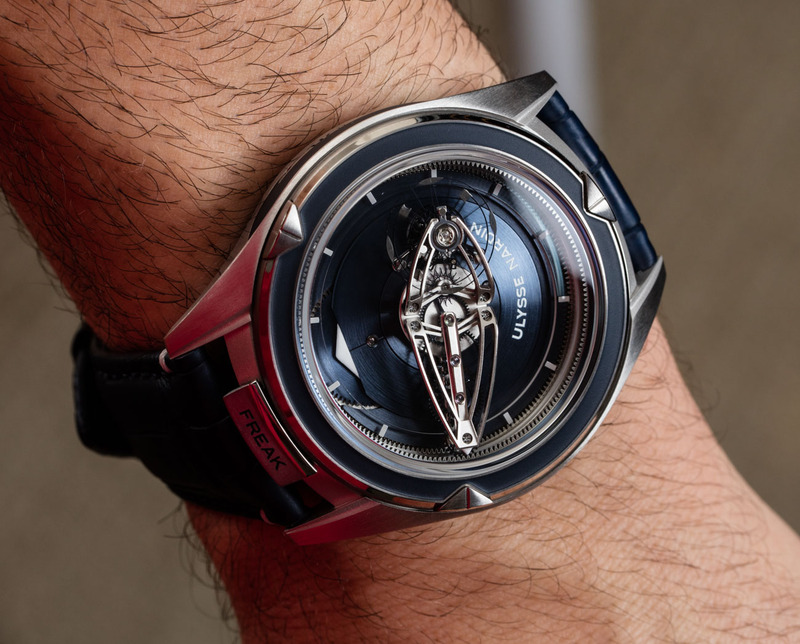 When Ulysse Nardin first introduced the original Freak back in 2001, it was supposed to be a next-generation watch movement because of its heavy reliance on silicon. 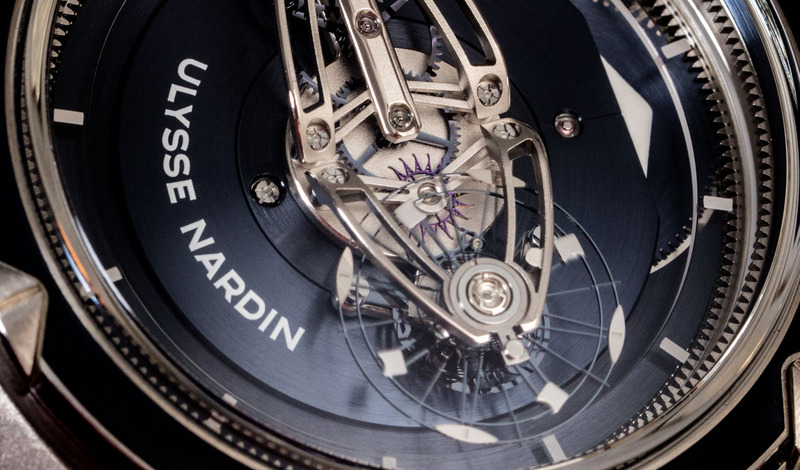 Perhaps no other brand compared to Ulysse Nardin has been as prolific with various types of silicon (aka “silicium,” in French) componentry. The original goal persists today: to rely on traditional horological technology but to introduce novel materials and manufacturing techniques in order to make traditional mechanical watches more accurate and reliable. Of course, compared to electronic timekeeping, mechanical timekeeping will more often than not be less accurate. Interesting exercises like the Freak collection have merit mostly to collectors, since the real-world need for slightly more accurate (and a lot more expensive) mechanical watches is uncommon, to say the least. I love the way you admit to wearing it upside down for a while. With something so visually complicated I can see how easy such a mistake would be to do. A ” modern ‘ piece of art work that hung in Glasgow’s gallery was on show for months until someone pointed out the signature was on the top right of the painting. Even if did have deep pockets I’m afraid this just doesn’t do it for me. Mechanically it’s in a class of it’s own. Everything about it is fantastic but I find that these types of watches just insist upon themselves. Fine for a talking point but at the end if the day it would drive me nuts. I could buy a watch off Roger for the same price. I deeply admire the technical expertise demonstrated in the production of this watch but for me as a watch it fails the “why ?” Test completely. “Because we can” is not a satisfactory reason. As an exercise in skill of design and construction I applaud it. As a watch I simply do not think that it is fit for purpose. We all have different likes and dislikes; this is simply my opinion. Ah, but for the price this would be the watch on my wrist. Raymond – how long would have to wait for a watch from Roger Smith? (not that it wouldn’t be worth the wait of course). Really apples and oranges – both are superb in different ways. Perhaps one of each? 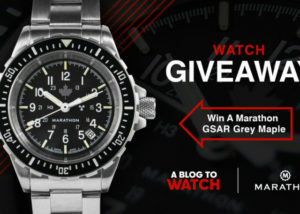 (a pity to only have a single watch to wear). Since SIHH 2019 I have been spending a lot of time learning about the Freak and it’s history, due in part to the Freak X of course. The older designs of the cases left alot to be desired but the Freak Vision and X are right up my street in terms of case shape and design. – How much of a dilution is the X over the Vision and it’s elder brothers? Are we talking Porsche 911 vs 911 GT3? Or are we more Porsche Boxter vs 911? – Do you think the X features high level of hand finishing as well, given it’s price point, or is it less so on the X to keep the costs down? I’m trying to get down to two watches – my Speedmaster, and either the Freak X, the Vacheron Fifty Six Complete Calendar, or the Vacheron Overseas Gen 3 date. What’s the thought on the X being a daily wear? I’d vote for the 56 Complete Calendar for daily wear but the OS with 3 straps/bracelet is a great choice too! Agreed! There is a danger when looking at potential watches that “people on the Internet” can dissuade you against something, like the Freak X. I do love it, but I think the general consensus on the Freak X is about right. I believe in paying for something that’s great at what it does – the Overseas and the FiftySix do, but I’m not sure the Freak X does. I’ll just have to keep dreaming about owning the Vision instead (even though its clearly to big for me). At least it is a proper Freak, unlike the Fake X, but why, oh why, is that rubber O-ring sitting in the bezel of a 95K watch? Oh, on the first read I missed the bit that said it wasn’t rubber – so, no more reason not to buy it then (well, in my dreams)! A watch family worthy of it’s own brand. While some are certainly cooler than others, theres never been a Freak I didn’t like. I’m happy to see a few companies still doing their homework in this industry. 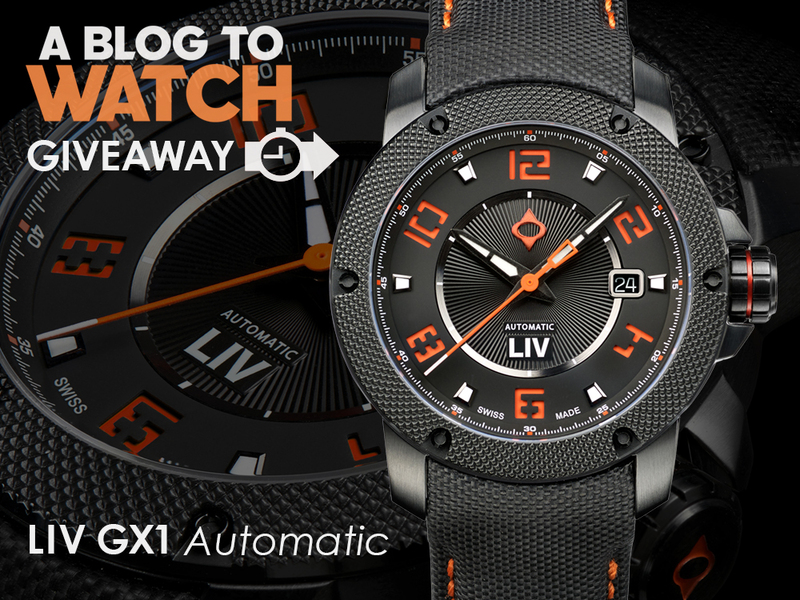 Stunning, technically adept watch. A “freak” wound by a “grinder”. Heh. C’mon and wind me up! We’re gonna find out what it is all about…. The Freak is a mainstay on my grail list. I’m torn as to whether this Freak Vision is my favourite Freak. The movement is spectacular, it’s looks like a living and breathing Star Destroyer has taken over the dial. It’s so visually dominating that you won’t immediately notice the hours indicator unless you’re looking for it. The Freak Out’s bridge is not quite as spectacular, but is a better match with the hours indicator. Freak has been in my top 3 in some iteration or another for a very long time. I keep going back to the Rolf75, it’s an iteration I’ve always liked. This one is close as well, I’m all about that Star Destroyer action. Imagine if you put your order in 6 and a half years ago! They would be the longest 6 months of my life! So you are waiting for the Freak Super model? I don’t think we need homophobia here dude.